When you need electrical service, you need a GENTEC professional. 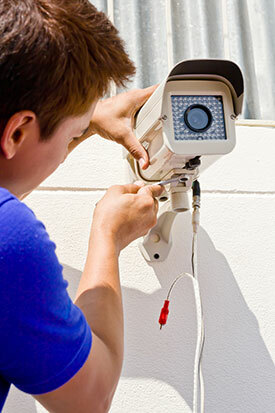 Our San Jose electrical team guarantees your service from the moment we enter the door. 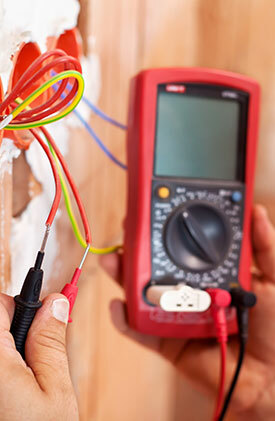 You’ll get top notch service from fully bonded and insured licensed electricians. Not only will you get the best electrical service in San Jose, but you’ll also get it at your convenience. We know that you’re busy and your time is valuable. You’ll get a two hour window and we’ll be there in it. If we can’t make it, you’ll know as soon as we do. If you need to reschedule – no problem. Give us 24 hours notice and we’ll get you in the next opening that works for you. In addition to being there when we say we will, we bring a fully stocked truck with us. We carry thousands of replacement parts including outlets, switches, copper wire, flux wire and everything needed to install it. We won’t be leaving the job to get a part – it’s on the truck. If we don’t’ have it, we’ll radio in to the main shop and have a second truck sent out with the part that is needed. We respect your property as much as your time. We wear protective covers over our boots and lay drop cloths to protect your carpets and belongings. Before we leave, we’ll make sure that your home is as nice as it was before we arrived. Our San Jose electricians are always in uniform, clean, friendly and courteous. Every hire has passed a thorough background check and drug screen. If we wouldn’t be comfortable with them in our house, we won’t send them to yours. It doesn’t matter if you need a whole home rewired or a simple dimmer switch installed in your dining room. You’ll get a written estimate before we start work so you’ll never be surprised with a ridiculous bill. If we run into problems, you’ll know about it before we continue. No work is done until you sign off that you understand it. We are highly skilled craftsmen and take the time to carefully inspect your project area before starting. We’ll point out any areas of concern before we start and won’t cut corners to try to save a buck. You’ll get high quality replacement parts installed by craftsmen level contractors, the first time, every time. Alum Rock electricians aren’t all the same. Just because someone is licensed doesn’t mean they are the best around. We are A+ rated by the better business bureau and have a list of satisfied clients longer than your arm. We do everything from adding new 220V service to adding recessed lighting to a finished basement. We’ve serviced your neighbors on south White Rd and Sunnyslope ave. Our techs are your Alum Rock electrical specialists and we’re waiting for your call now. Do you need an electrician in Cambrian Park? We should be at the top of your list. We’ve been taking care of electrical issues n your neighborhood for over a decade. As a Diamond certified contractor, you are guaranteed a superb service every single time. We don’t settle for less and neither should you. Call our Cambrian Park electrical specialists today. We cover the entire area from Camden Ave to the West Valley Freeway. The specialists at GENTEC are the choice for Willow Glen electrical services. We have been keeping San Jose’s Local Treasure sparkling for decades. Whether you are located downtown on Cherry Ave. or east of the Guadalupe River, we’ve got you covered. Our electricians have worked to update several of the local businesses to modern breaker systems, although we are still able to work on old knob and tube systems. Electric service in East San Jose is best left to the professionals at GENTEC. We have been updating and servicing residences and businesses in King and Story, Alum Rock, the East Foothills, Little Portugal, Evergreen and Meadowfair for upwards of 15 years. We have a stellar reputation and a huge list of references for you to contact. Give us a call and become the next satisfied customer on our list. 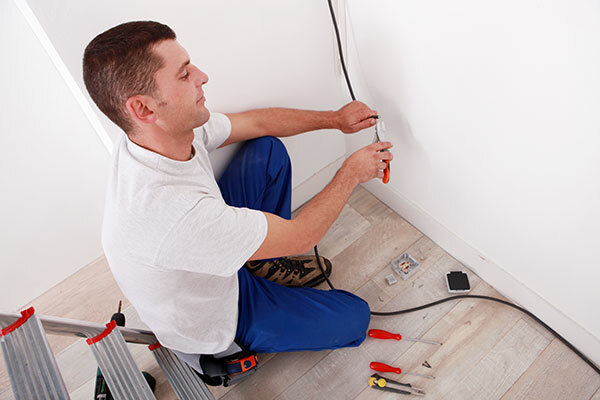 You need to be able to trust your Alviso electrician. That’s why you should be choosing a company with ties to the community and a track record of success. GENTEC is a diamond certified contractor with an A+ rating from the better business bureau. You’re not going to find another electrician in Alviso that can claim that. Call us now and rest easy knowing you’ve made a solid choice. Electric cars are quickly taking over the South Bay, which is one of the reasons we get so many requests for electric car charger installation in San Jose. The other reason is because we take the time to understand each of our clients’ needs, provide accurate up-front estimates, and install only the most dependable EV chargers in the industry. Read more about our electric car charger installation service or call today to schedule a bid.